Self help and peer support are increasingly recognized evidence-based best practices in mental health services. The Ontario Ministry of Health & Long Term Care and the Mental Health Commission of Canada have endorsed peer support as an effective way of supporting people with mental illness and chronic diseases in their recovery journey. 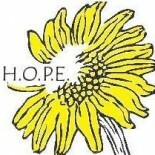 At H.O.P.E. we have taken a leadership role and work collaboratively with OPDI to provide information about access to the Peer Support Core Essentials™ Program training. For more information contact our Program Manager at 519 751-1694. 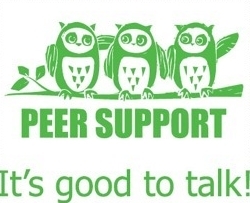 Peer Support Training provides basic skills training for people who have recovered their own mental health to the point of being ready to support others on their recovery journey. The concept of personal recovery is being promoted by consumers as an antidote for the helplessness that too often accompanies mental illness. Clinical recovery is about overcoming mental illness, about overcoming the symptoms of illness and returning to life as normal. Personal recovery focuses instead on creating a full and meaningful life within the context of having an illness.